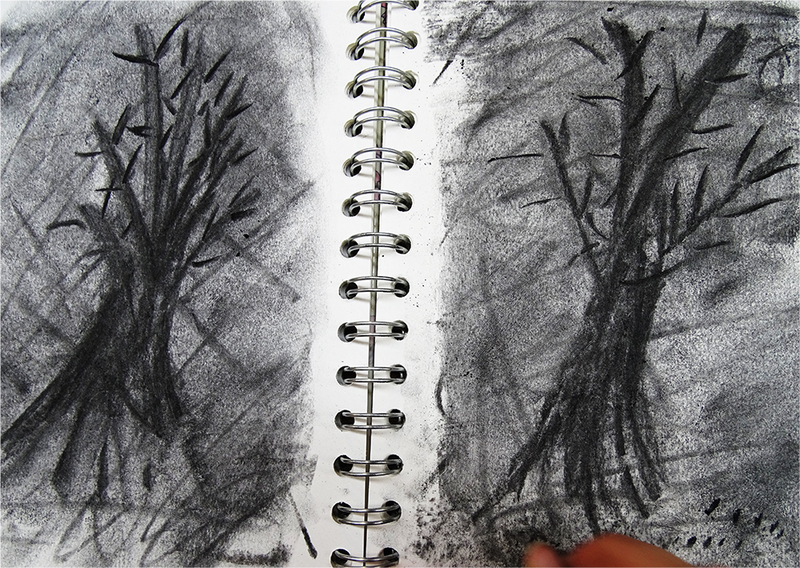 Inspired by the charcoal animations of William Kentridge, teenagers at the AccessArt Art Lab for ages 11, 12 & 13 worked in their Pink Pig Sketchbooks to create charcoal animations. William Kentridge (born 28 April 1955) is a South African artist best known for his prints, drawings, and animated films. 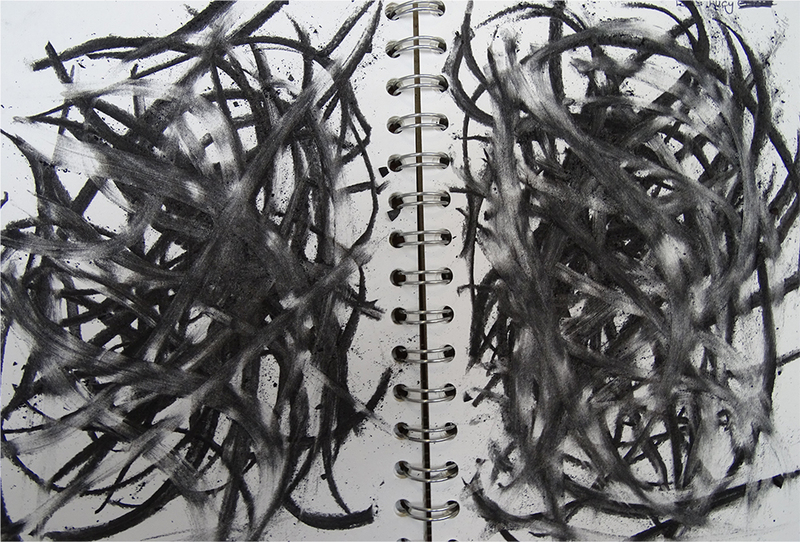 These are constructed by filming a drawing, making erasures and changes, and filming it again. He continues this process meticulously, giving each change to the drawing a quarter of a second to two seconds’ screen time. A single drawing will be altered and filmed this way until the end of a scene. These palimpsest-like drawings are later displayed along with the films as finished pieces of art. This biography is from Wikipedia under an Attribution-ShareAlike Creative Commons License. 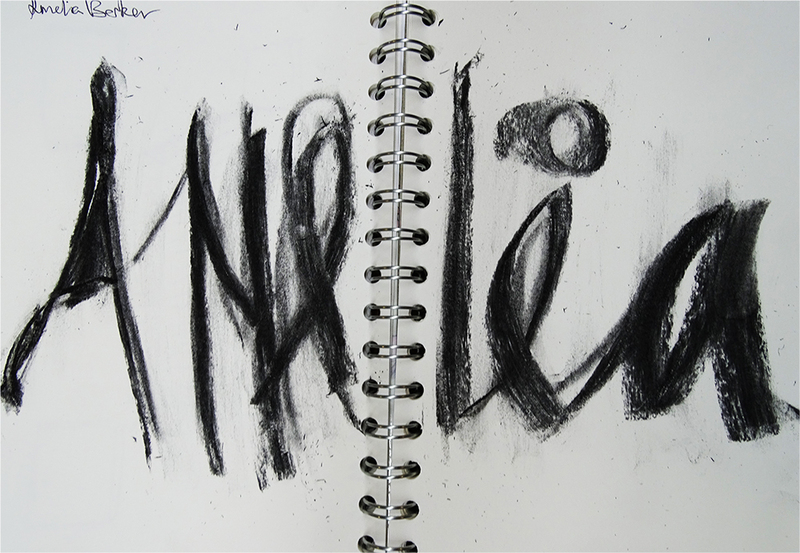 In the studio, I asked the students to open their sketchbooks on a double page, and to begin by writing / drawing their name in charcoal across the page. 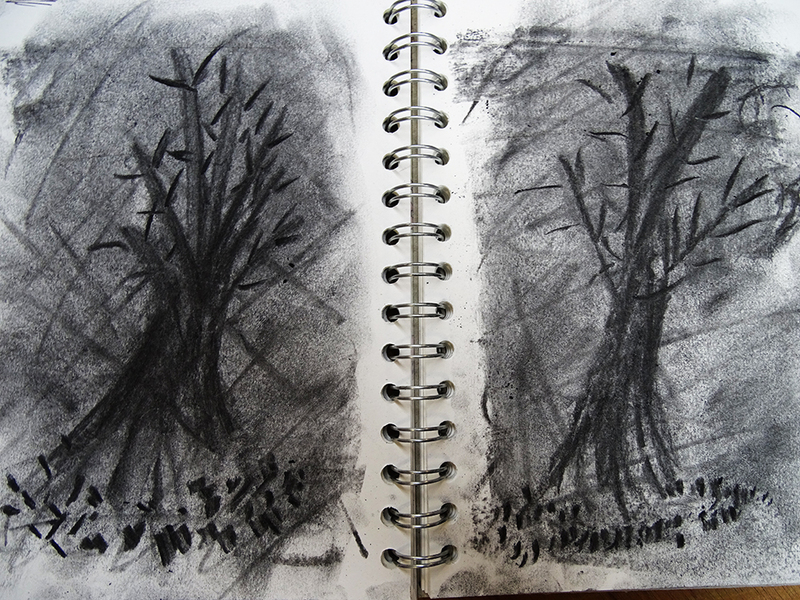 I then challenged them to layer drawing after drawing on the same page, each drawing made in response to the previous one. 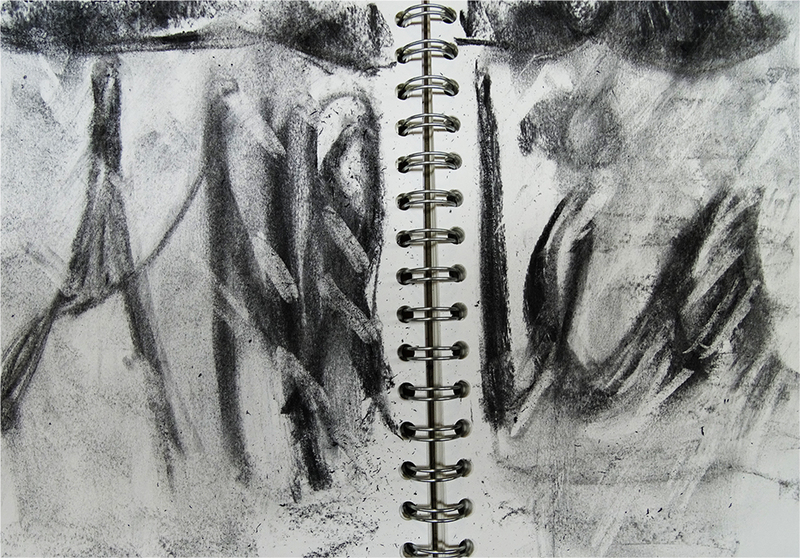 Charcoal is a very fluid medium, and in addition to the charcoal sticks themselves, students used their fingers, hands and putty rubbers to help move the charcoal around the page. 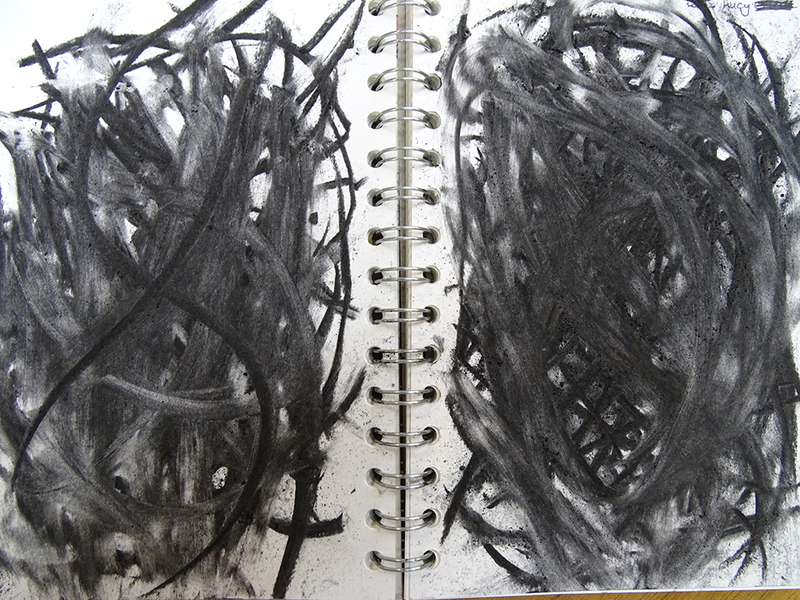 Sometimes the children added new lines to a drawing, sometimes they took lines away. 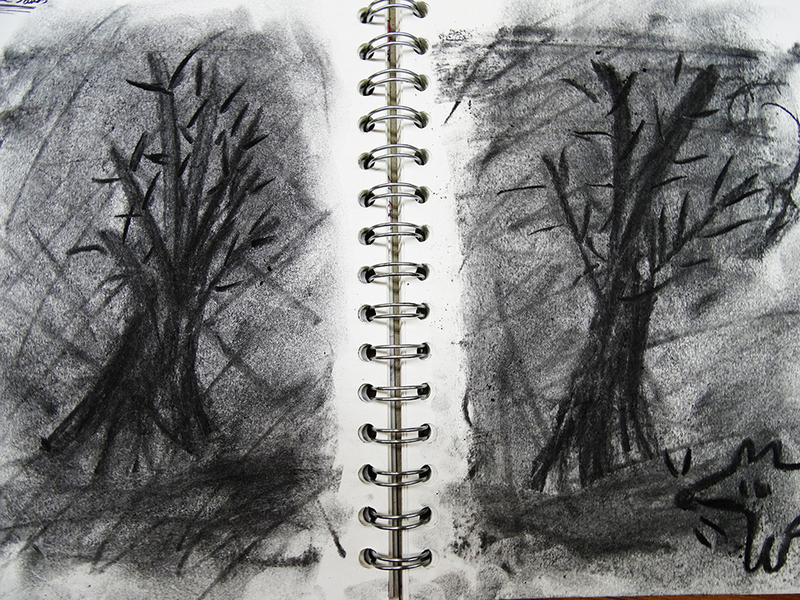 When working with charcoal it’s very easy to end up with a grey, uniform image. 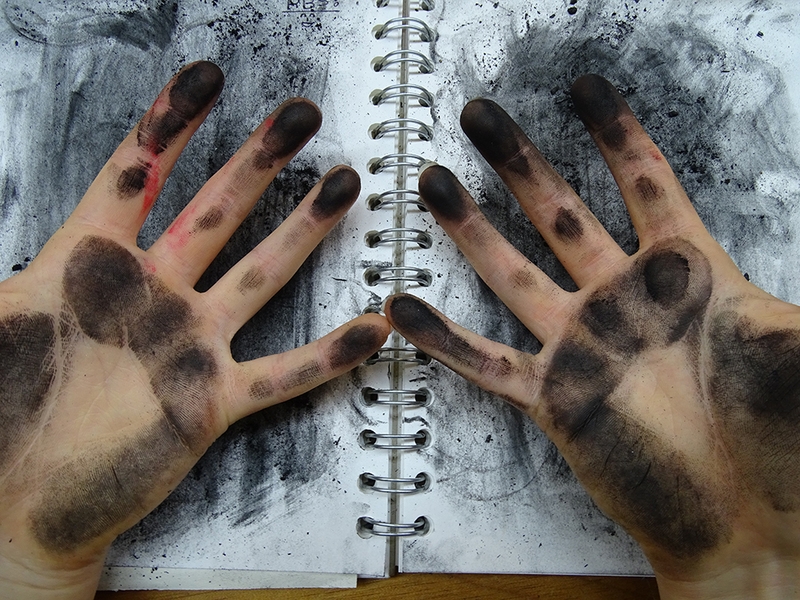 This warm-up exercise might be useful to help students appreciate the full range of marks they can expect to get from a charcoal stick. Over the hour long session each student produced 10 to 20 drawings over their double page, and I photographed each image as we went along, as instructed by each student. The images were then edited and dropped into a movie to make an animation of all the students’ work. This is a sample of resource created by UK Charity AccessArt. We have over 750 resources to help develop and inspire your creative thinking, practice and teaching.